Red Rubber Inspirations: Announcing Our First Design Team Call! Announcing Our First Design Team Call! If you are talented, dependable and have a passion for creating with rubber stamps, then this may be the perfect opportunity for you. Red Rubber Designs is looking for six individuals who desire to be on an exciting design team for a new stamp manufacturer. No previous design team experience is necessary. If you meet the requirements, we encourage you to apply! The deadline for applying is Midnight (Central Time) on March 16, 2012. Most important, someone who has time for the commitment. Someone who can create inspiring projects to promote the versatility of our product. Someone who has great photography skills. (Many a perfect project has been ruined by a poorly taken photo.) Sorry, scans are not accepted. Someone who can produce either step-by-step pictorial tutorials or video tutorials. Someone who consistently meets deadlines in a responsible manner. Someone who will represent Red Rubber Designs in an enthusiastic and positive manner on their blog and other venues. An enthusiastic six month commitment to the Team. An active stamping blog or an active online gallery. Social media participation on the RRD blog, Facebook page and the DT's private forum. At least four (4) postings a month on your blog featuring an RRD stamp as its focal point. One of these projects must be substantial. A tutorial once every two (2) months. Participation in blog hops, product releases and Design Team challenges. 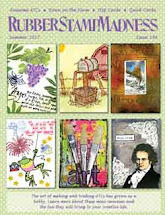 Free product to inspire your creativity including exclusive rubber stamps and patterned paper as well as other goodies. Exposure on the RRD blog and Facebook page. Your name, short bio, headshot, and link to your blog on the RRD blog and/or website. Design Team badge (that links back to RRD) for your blog. Private forum for Design Team members only. Pictures of three samples of your work that best show your style and skills using rubber stamped images. This may include - but is not limited - to cards, tags, altered book page, mixed media, scrapbook layouts, etc. Please send pictures as attachments. 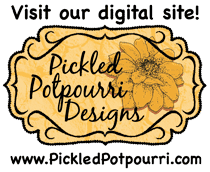 Links to your blog and any online galleries. Are you active on Facebook and/or Twitter? What is your favorite stamping technique? Have you ever created a video tutorial? Are you on or have ever been on any design teams? Please list. Good luck and remember the deadline is Midnight (Central Time) on March 16, 2012! So looking forward to the new site and the blog with designers! Thanks for giving us the opportunity to apply to be on the design team. GO PK GO PK GO PK!!! A perfect fit! Excited to see some new stuff out on the market. Can't wait to see the new stamps and challenges!! Thanks for the opportunity to apply for your design team. Looking forward to seeing what you have to offer. I assume I am too late? I only discoverd the DT call now?! Introducing RRD's New Design Team Coordinator!